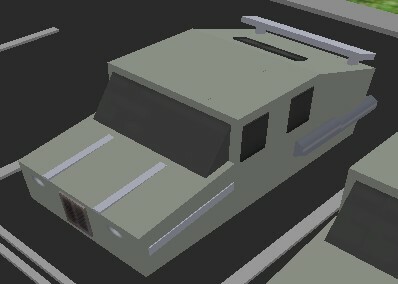 This pack includes the famous RoadKill Hovercraft, modeled and constructed by the creative genius RoadKill. This bundle comes with the craft facing in all four standard directions and comes in a nice pastel white color, as seen below. The front headlights and the back window may tend to sink into the body portion of the craft, so modify as needed. Modifications to color the craft is quick n' easy, as the body only consists of 6 objects. The license plate is also recommended to be customized.